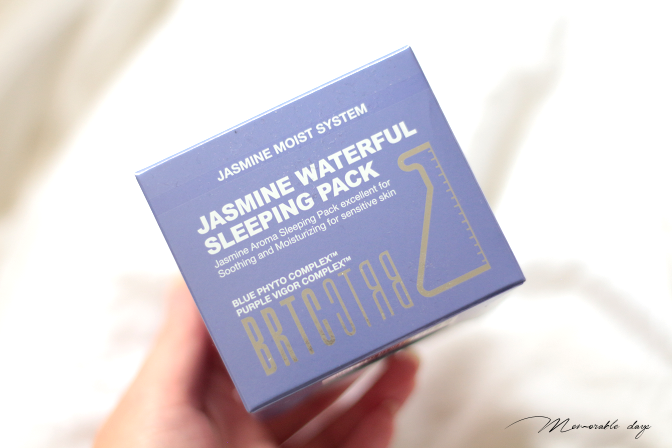 Review: BRTC Jasmine Waterful Sleeping Pack | Memorable Days : Beauty Blog - Korean Beauty, European, American Product Reviews. 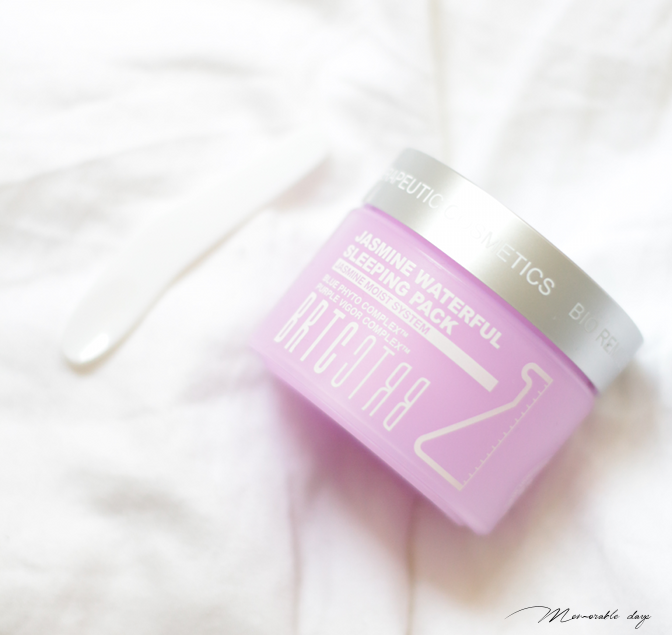 I'm sure that a lot of us need some moisture during our nighttime skincare routine. BRTC has a waterful sleeping pack in their Jasmine collection. 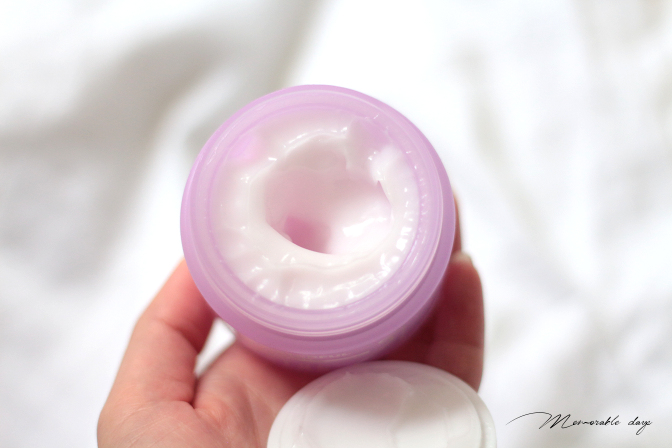 In today's blogpost I'm reviewing this moist bomb! The Jasmine aroma sleeping pack is to soothe and moisturize the sensitive skin. The water drop type natural aroma sleeping pack includes BRTC-exclusive patented ingredients of blue phyto complex and infused jasmine water which helps with soothing and it keeps the skin moisturized overnight. It has anti-wrinkle and whitening functions. It has 50ml of product in it. 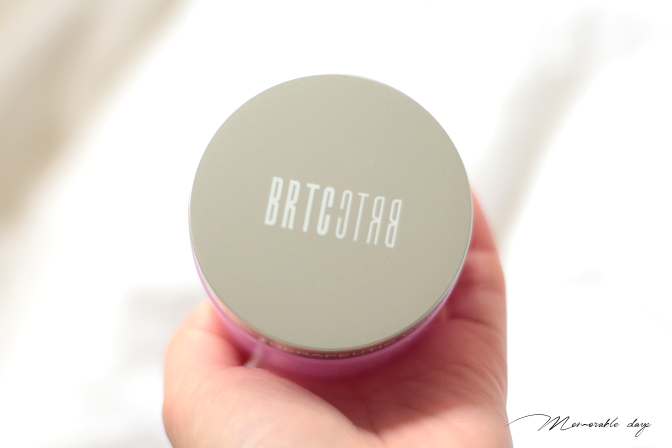 Just like the BRTC Jasmine Water BB Cream it has a purple packaging with Korean as well as English descriptions on it. The product comes in a purple tube with a spatula. It just has the same scent as the Jasmine water BB Cream from BRTC. It has a jasmine scent which I don't really like and this one is pretty strong as well so if you're not a fan of jasmine, you won't like this. If you are curious about the ingredients, you can check out cosdna.com and you can see if it's safe or not. It looks not bad as far as I can see. The texture is a gel-type and it's white. Once rubbed into the skin it will turn translucent. Unfortunately it doesn't dry that quickly. 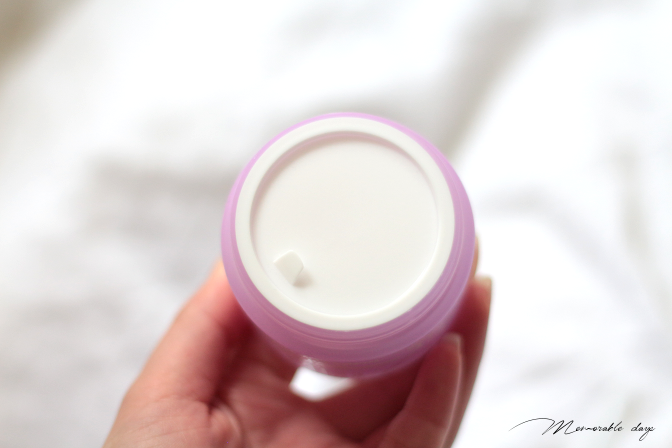 It has a nice cooling effect which is lovely before you sleep, it gives a soothing effect which I like. However, it's a bit sticky after application which I'm not a fan of since that means that the product will also transfer onto my pillows. You are able to purchase this sleeping pack at sasa.com for $30.80 quite pricey huh? I've been trying this sleeping pack out for 2 weeks and it's very cooling and soothing on the skin. It's a great way to apply this onto the skin and lay down for a bit to de-stress. However, I'm not a big fan of the scent, it feels sticky on the skin after application and it takes a while to dry. Since I've been using this product for a short period I can't tell much about the anti-wrinkle effect nor whitening effect. The only thing that was noticeable was that it made my skin moist and it looked plump when I woke up. note: this product was sent to me for review purposes by bntnews, but this didn't affect my opinion about the products, see disclaimer.